We stayed at the castle for 6 nights . We were upgraded to a lovely room . We picked it because we wanted a pool . The pool was nice and cold after a day out it was really nice and refreshing. Not really room to swim but ok . The was cleaned every day . The staff were nice & helpful. It was a bit of a walk to the centre 20min min and then back . A nice Thai / French rest round the corner. All in all a good trip ..
Quite, lovely, clean, good stuffs. I stay here for 4 times now, It still have very good maintain and nice stuffs, it is clean, quite, and feel relaxing. you can walk to night bazaar, saturday night market and sunday night market, Not really far if you are not getting lost. If you will rent a motocycle or bike for moving in chiang mai, this will be a perfect hotel for you. Cute hotel, but Agoda photos make it out to look nicer than it is. The restaurant is small and a bit overpriced, location is good and price is good. I think for the price there would be a ton of other options closer to the heart of the city though. I wouldn't stay here again, I would try something new, but very nice and friendly staff. Nothing special about the hotel itself though. We spent couple of nights at the castle. I highly reccomand it. It´s not far from chiang mai center,in a quiet corner. Staff is very kind, rooms are tidy and confortable, nice swimming pool and low fares. Price was about normal for Chang Mai. Hotel is small, quiet and really pleasant. Staff was great. Location great. Breakfast was not included for my deal but was a good value and really nice. I'd recommend this hotel and will stay their again. 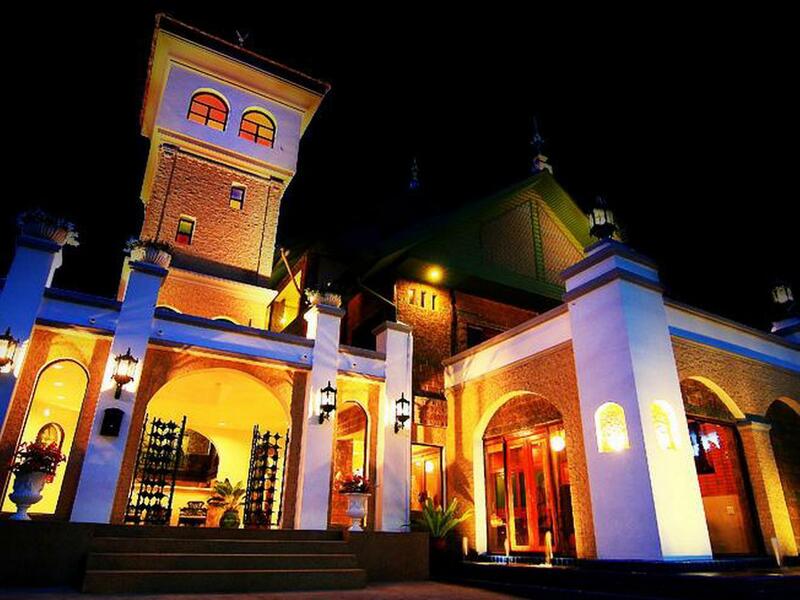 I had a very pleasant stay in The Castle Chiangmai, impressively good english, but also advice iin german possible. Only 3 min stroll from the old centre this hotel is very conveniently situated, yet in a very calm neighbourhood. Pool is more a plunge pool, but very clean and OK for a quick cool down. PC/internet available for free and everything is very homely and relaxed. Our stay was great at The Castle. The rooms were small but adequate for sleeping. The staff were amazing and extremely helpful when deciding on excursions and arranging transportation for us. I would definitely recommend this hotel. The hotel is nice. Staff is well trained. However, the location is quite difficult to find. There is no parking space also. Very nice staff, clean rooms, attentive owner. Basic hotel accommodation but which rates better becausecof friendly and helpful owner and staff. Breakfast good and coffee very good. Rooms basic but adequate . Would stay again. Thanks. Super place... Very comfortable and helpful staff. Just far enough away from the gate to chill out. Definitely value from money and we'll stay here again when in chiang mai. Staffs are great and helpful. The room is clean and cozy. Overall is good to stay. Close to Saturday's night market. 10 mins walk from hotel. The people at the reception are very friendly and helpful and speak English very well. Its close to the old city and city walls. The rooms provide just the comfort you need, incl safe and fridge.